May 31 & June 1 at 7 p.m.
June 2 at 3 p.m. This moving play is the autobiographical story of Mitch Albom, an accomplished journalist driven solely by his career, and Morrie Schwartz, his former college professor. Sixteen years after graduation, Mitch happens to catch Morrie’s appearance on a television news program and learns that his old professor is battling Lou Gehrig’s Disease. 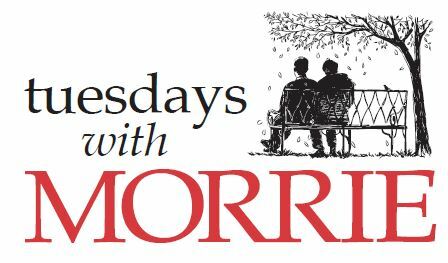 Mitch is reunited with Morrie, and what starts as a simple visit turns into a weekly pilgrimage and a last class in the meaning of life. Recommended for ages 13 through adult. If you are offered an acting role in the production, the production support fee of $20 (members) or $30 (non-members) must be paid on the Information Night. The fee may be paid by cash, credit card, or check payable to DreamWrights. Scholarship funds are available to cover all those in need. For scholarship assistance, please contact Ann Davis at annd@dreamwrights.org. Tickets are non-refundable but may be exchanged for a different performance of the same show at no charge. NO exchanges will be made the day of the performance. Tickets must be exchanged through the box office. Exchanges of Reserved seats can only be guaranteed for the desired performance if there are available seats in the reserved section. All persons, regardless of age, must have a ticket to attend a show.